Trailer for Disney’s ‘Zootopia’ Has Landed!!! Disney gave us a little taste of what we can look forward to in March of 2016 when ‘Zootopia‘ drops to the big screen. Talking animals, conspiracies, framed for crime? What more could you want?! The list of voice actors attached to this flick are phenomenal and I love each one separately, together they’re going to blow the screen up! Idris Elba, Ginnifer Goodwin, Jason Bateman, Alan Tudyk, J.K. Simmons, Bonnie Hunt and on and on and on. This is pure A-list going animal on us and the trailer looks like it’s going to be a must-see event, like every other Disney film. 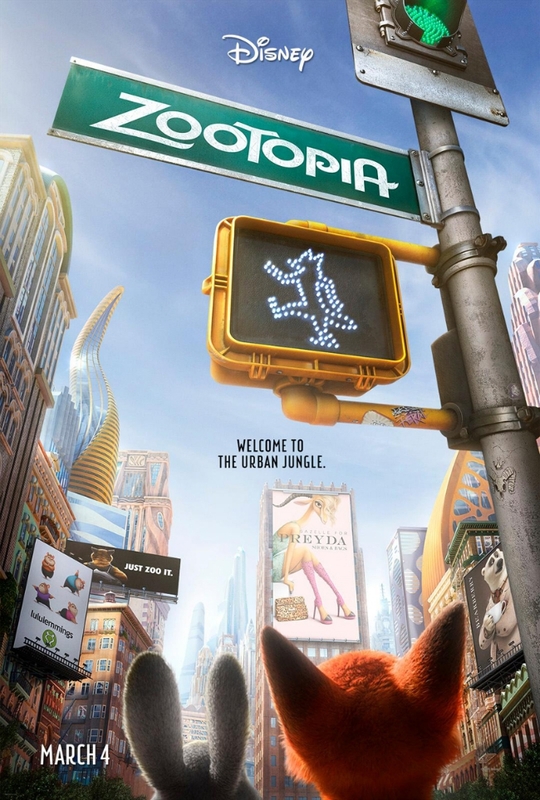 In the animal city of Zootopia, a fast-talking fox who’s trying to make it big goes on the run when he’s framed for a crime he didn’t commit. Zootopia’s top cop, a self-righteous rabbit, is hot on his tail, but when both become targets of a conspiracy, they’re forced to team up and discover even natural enemies can become best friends. Check Out The New Trailer For ‘Rogue One: A Star Wars Story’!!! This entry was posted on Monday, November 23rd, 2015 at 4:42 pm	and is filed under Film, News. You can follow any responses to this entry through the RSS 2.0 feed. You can skip to the end and leave a response. Pinging is currently not allowed. « ‘Lost in Space’ Finds Itself At Netflix For Reboot!!! I'm going to need a couple of jars of jelly on the plane and two parachutes.